A 75-year-old man has died in a fire at his home in East Renfrewshire. Firefighters were called to the blaze at a flat in Bangorshill Street, Thornliebank, at about 1000 GMT on Monday after a smoke alarm alerted neighbours. 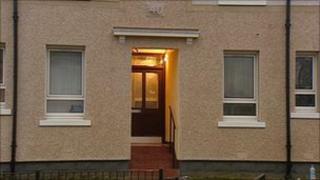 Strathclyde Police said the body of Thomas Oliver was found inside the flat. Officers are not treating the death as suspicious. A full report will be sent to the procurator fiscal.